My first impression about the adaptor is how small it is, you really don’t realize this on pictures online, when measuring its only 2 cm long and just 1 cm wide, so this thing is pretty small! 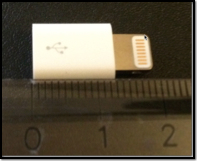 After testing the adapter with a generic Micro USB cable with my MacBook Pro and verifying that it actually works as a normal original lightning cable would, I started to think how I could carry this little thing always with me without losing it. 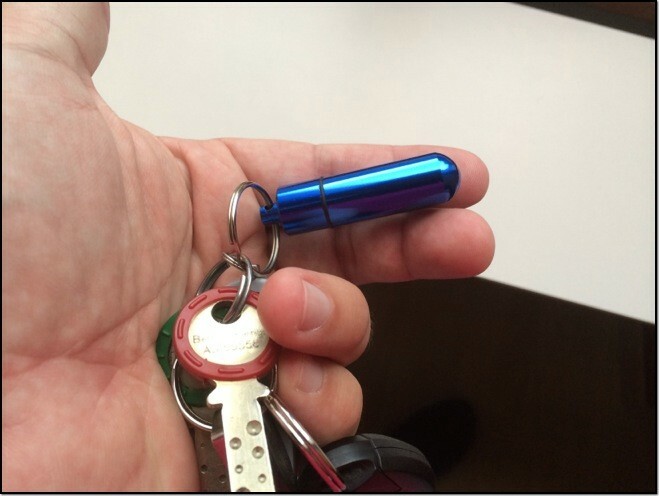 Then, I remembered buying a keyring waterproof aluminum pill container, and guess what? It was the perfect couple to carry the connector always with me! By being able to have this little connector with me, I don’t have to worry what type of cable I am trying to use with my Lightning Apple devices, I can just use any generic Micro USB cable that is very common nowadays. Here in Switzerland, the adapter costs around USD 20, and can be purchased almost anywhere they sell Apple accessories. 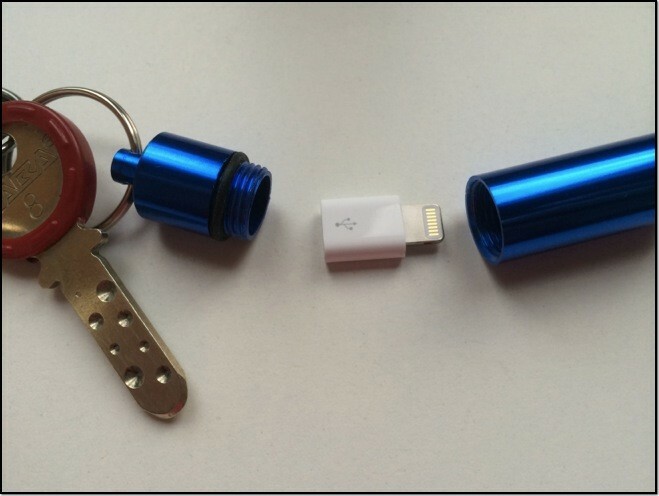 Below you can see some pictures on how it looks and you can check on AliExpress the diverse models of keyring pills holders that you can buy to carry the adapter with you, most of them with free shipping :).